The Health Promotion Unit develops, implements and evaluates a variety of activities and programs empowering people to increase control over their health. The work of the unit is guided by an annually agreed plan based on population health improvement priorities. Clean well– Brush teeth twice daily, adults should help children until at least the age of 7. For more information about Smiles 4 Miles, click here. Act-Belong-Commit is a community-based health promotion campaign that encourages people to take action to improve their mental health and wellbeing. For more information about Act-Belong-Commit, click here. The Health Promotion Unit coordinates a range of activities to build health literacy so that people are better able to understand and act on health information and use the services available to them. The Hospital Tour program introduces newly arrived refugees and migrants as well as established migrant communities, and their case workers, to the Australian health care system and GV Health. The tours include visits to Pharmacy, Emergency, Pathology, Medical Imaging, Dental and the Sanctuary to discuss important health and service information. My Health in Shepparton is a local guide to health services. It aims to provide easy to understand information about the Australian health care system and local health services. 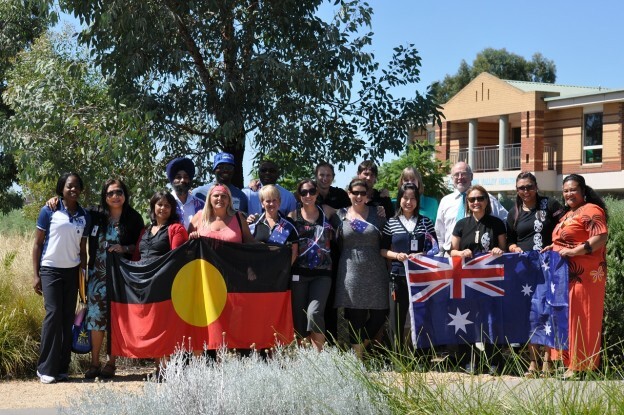 While it is specifically developed for refugees and migrants arriving and settling in Shepparton, My Health in Shepparton can be used for the wider community for gaining greater understanding of the Australian health care system and local services. For more information please visit the My Health in Shepparton page.